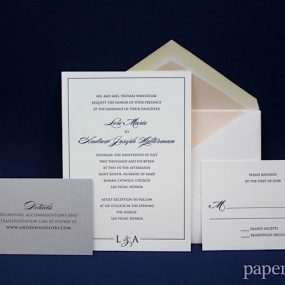 We worked with our partners at Designers’ Fine Press to produce these damask letterpress wedding invitations. 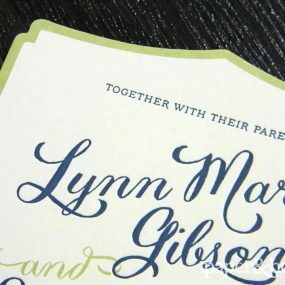 Renee and Matthew had a classic style and these invitations are a beautiful reflection of their taste. 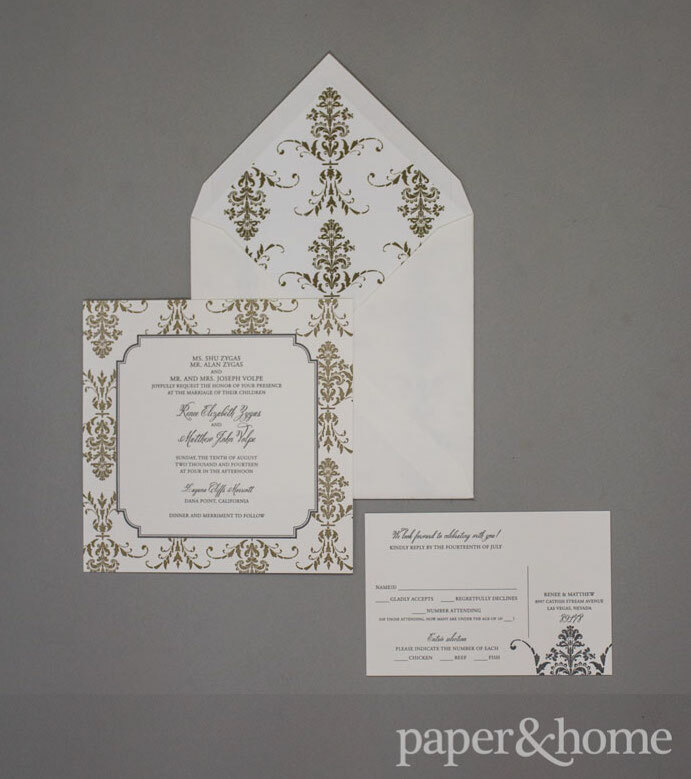 The gold damask pattern couple with the gray text and border is a stunning color combination. 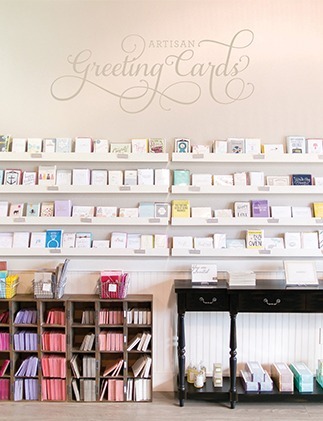 The 2-color letterpress is luxurious to both touch and sight. 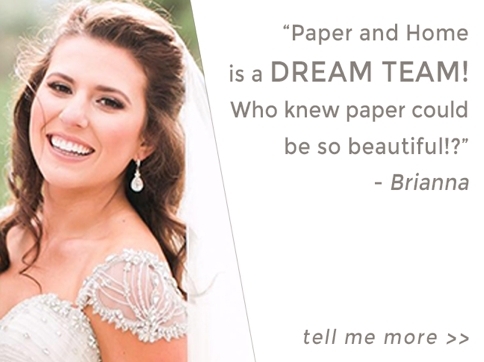 The classic script fonts paired with an all-caps serif typeface work wonderfully together. This font pairing carries over to the letterpress reply postcards, while the ornate damask pattern is reflected in the envelope liner. Gorgeous.